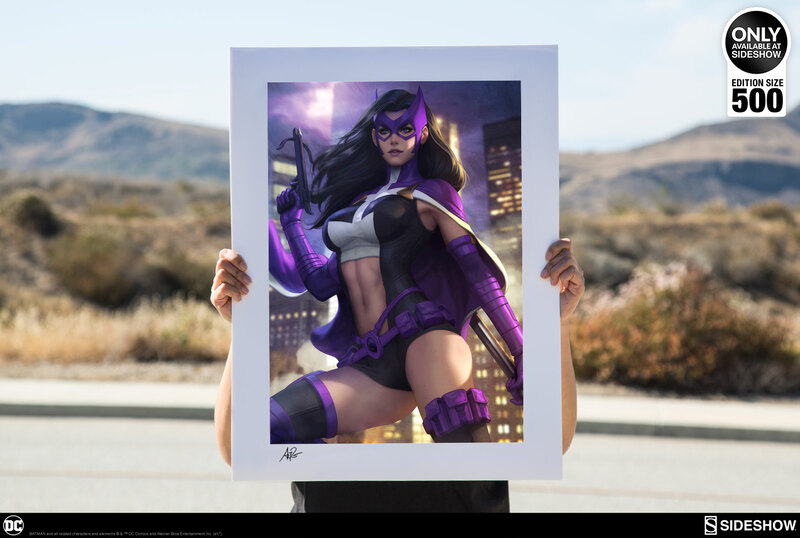 Mafia bosses beware- Sideshow is proud to present the next in our Stanley “Artgerm” Lau art print collection, the Huntress: Birds of Prey Premium Art Print! 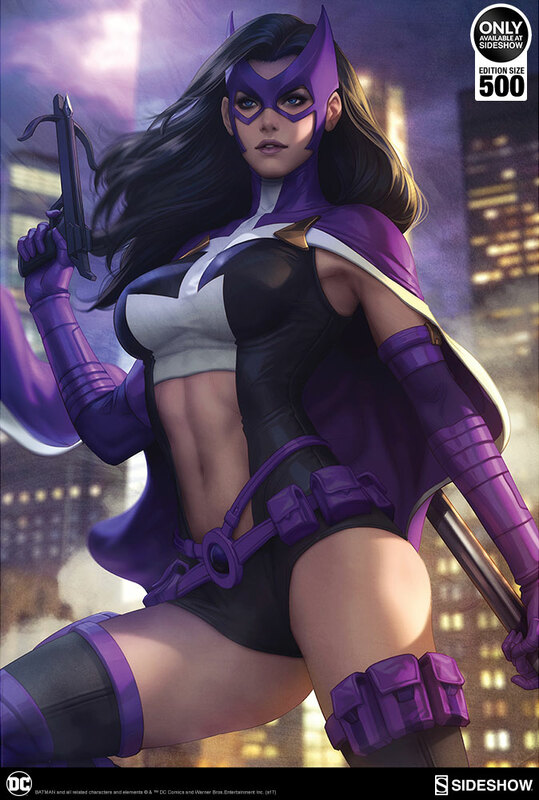 This third installment to Artgerm’s Birds of Prey series depicts the DC heroine Huntress standing high above the rooftops of Gotham as she searches for her next target. The violet-clad vigilante holds her crossbow and battle staff while striking a powerful pose against the purple skies, ready to face down any foe in her way. 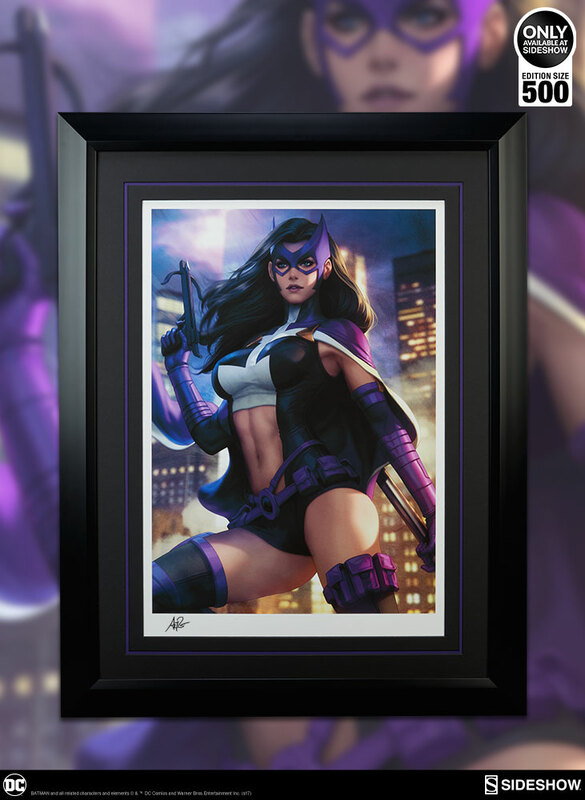 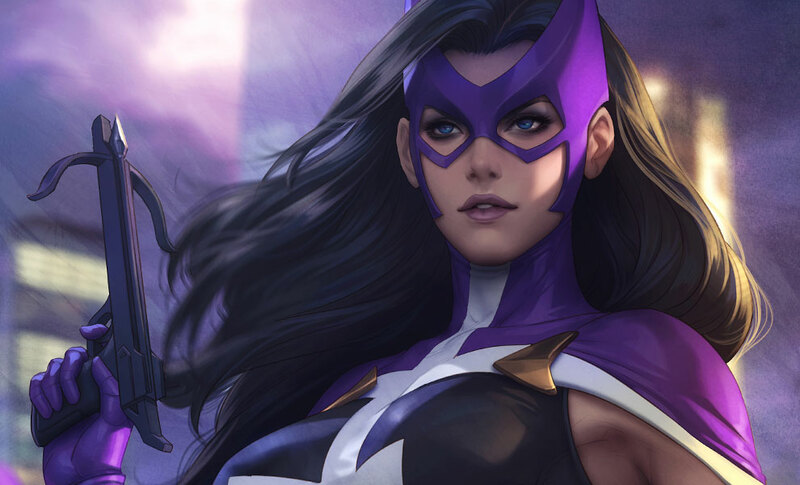 Each Huntress: Birds of Prey Premium Art Print is hand-signed by Stanley “Artgerm” Lau and will have an embossed seal of authenticity. 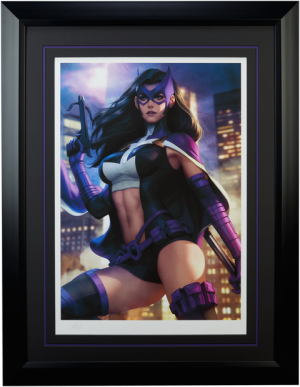 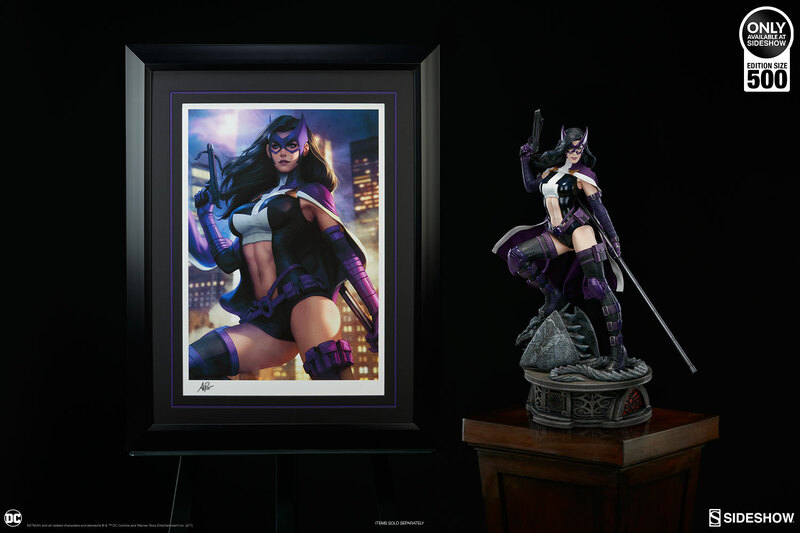 This limited edition print is the perfect addition to any DC display alongside Sideshow’s Huntress Premium Format™ Figure. 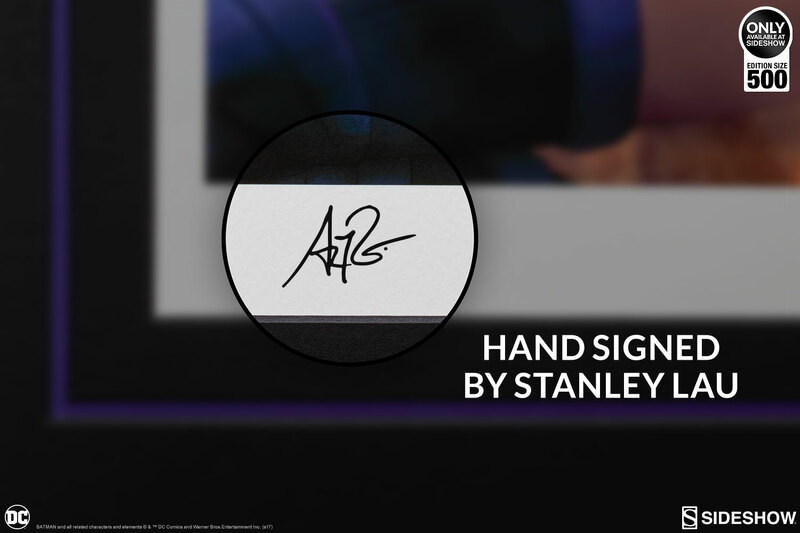 Formally trained in graphic design and advertising, Stanley imbues his art with a strong sense of aesthetics and visual fluidity. 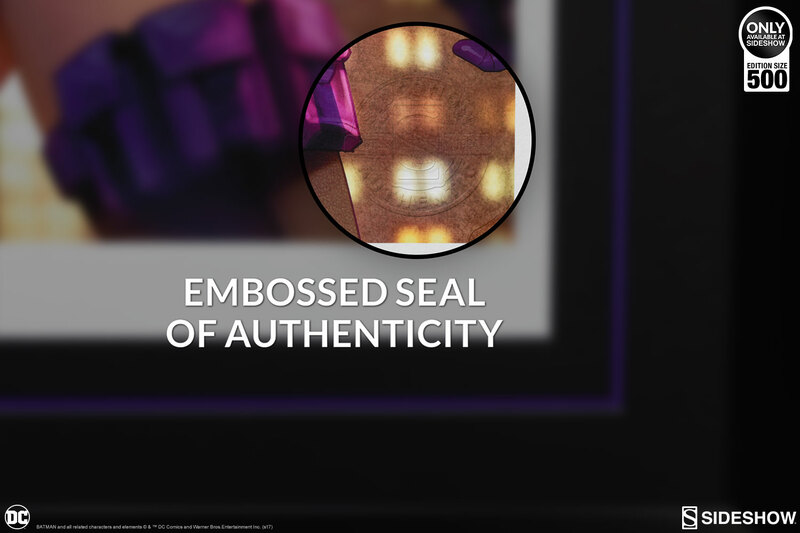 It is a perfect blend of eastern and western art styles. 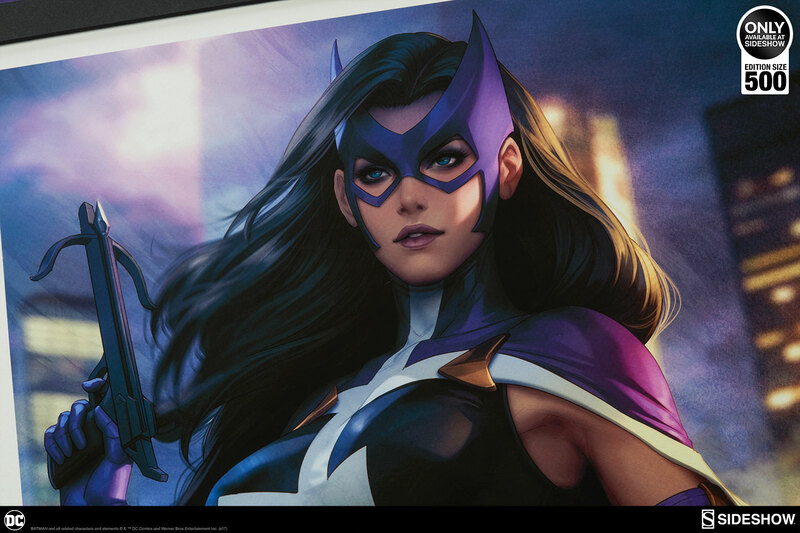 Better known by his handle ‘Artgerm’, Stanley’s art continues to infect and inspire new generations of artists and his ever-growing fan base around the world. 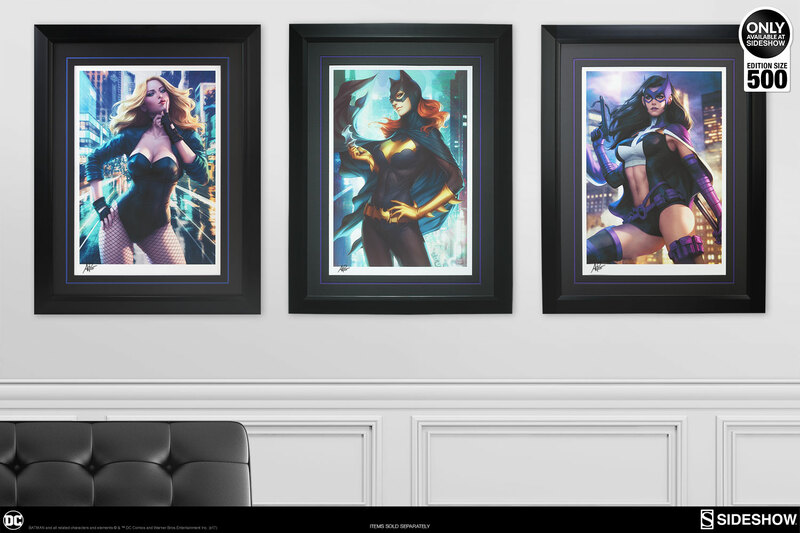 For more of his art, check out the official Imaginary Friends Studios website and his page on DeviantArt.